Wine For Smile: an auction for a smile. An exclusive Vip event that brought together all the prominent personalities and the Roman nobility. 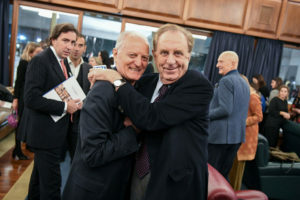 The winning combination of excellent Italian wines and solidarity at one of the most prestigious club of Rome. 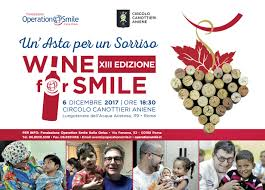 On December 6th, at the Circolo Canottieri Aniene, for the tenth consecutive year, took place the prestigious charity auction for Italian wines “Wine For Smile: an auction for a smile” organized by the Operation Smile Italia Onlus Foundation. 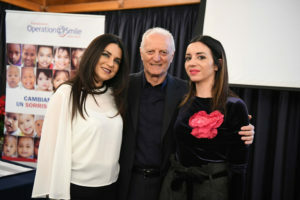 To do the honors of the house, Santo Versace, President of the Foundation, together with Massimo Fabbricini, President of the Circolo Canottieri Aniene, Domenico Scopelliti, Scientific vice president of the Foundation and Livia Azzariti, co-founder and godmother of the evening. Among the guests, together with the Club Members: Luca Maroni, Livia Azzariti, Jimmy Ghione, Giuseppe Zeno, Luca Barbarossa, Max Giusti, Stefano Masciarelli, Giancarlo Fisichella, Maestro Natino Chirico, Michele Mirabella, Andy Luotto, the artist Luca Valerio D’Amico. 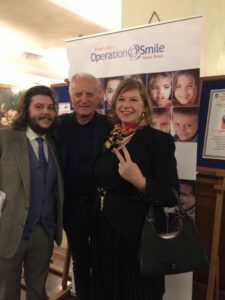 Many friends and testimonials of Operation Smile Italia Onlus were present, including Michele Mirabella and Andy Luotto. 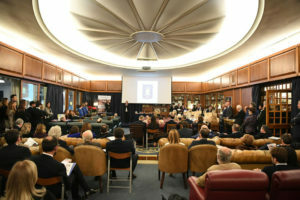 A record auction with 548 bottles, divided into 33 lots, auctioned by the generous and very good beater Luciano Carnaroli, alongside the Foundation from the first auction, reaching the finish line of 22,200 euros that will be destined for the next international humanitarian missions scheduled in 2018 and the development of the project on the Italian territory of the Foundation, called “Smile House”. 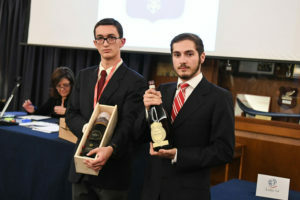 The special guest of the auction was Italian beer, with a lot donated by Angelo Poretti brewery. Renewed the partnership with TAOMODA, whose President Agata Patrizia Saccone participated in the event along with some well-known Sicilian companies, which participated in the auction with their excellent products. During the evening we also attended an exclusive auction of oysters from the most famous production regions in France, a place of excellence for the breeding of the best oysters in the world. 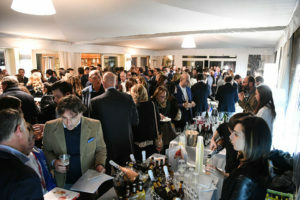 At the end of the auction the guests tasted in the beautiful terrace of the Club overlooking the Aniene the wines generously offered by some of the companies present, accompanied by delicious sweet and savory products from North and Central Italy and from sweet delicacies from Southern Italy.